Amazon dropped WikiLeaks from its servers this week, according to the muckraking Web site's twitter feed. "WikiLeaks servers at Amazon ousted," read a WikiLeaks tweet posted around 3 p.m. ET on Wednesday. "Free speech the land of the free—fine our $ are now spent to employ people in Europe." The announcement comes on the heels of an apparent shutdown of the WikiLeaks site early on Wednesday, according to CNN. WikiLeaks had decamped to Amazon's servers on Sunday following a hacking attack on its old servers. The site is now up and running again using a different host. Meanwhile, U.S. Sen. Joe Lieberman did a happy dance at the news that Amazon had dumped the controversial site. "I wish that Amazon had taken this action earlier," Lieberman said in a written statement. 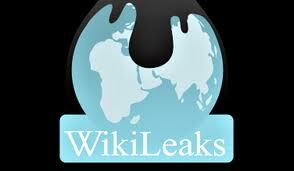 "The company's decision to cut off WikiLeaks now is the right decision." Meanwhile, WikiLeaks continued to denounce Amazon. "If Amazon are so uncomfortable with the first amendment, they should get out of the business of selling books," read a Wednesday afternoon tweet.